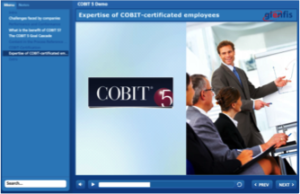 Our eLearning modules COBIT 5 are based on the current status of didactics, pedagogy and ergonomics. The advantages of these modern learning methods can be summarised in 3 words: anywhere, anytime and flexible. 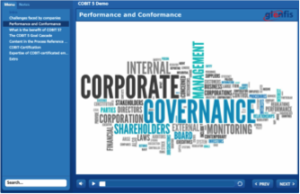 The eLearning is based on the COBIT 5 Syllabus from APMG and prepares you for the foundation exam. No further training needed.